When Tony Segreto, a nervous college kid barely one step removed from fetching coffee for the grown- ups, first went on the air in 1971, it seemed more likely his career would end not 37 years later but 37 minutes. 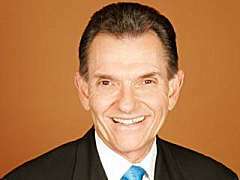 Despite such a scatological start, Segreto not only survived but also thrived, growing into South Florida's most respected sportscaster and later its top-rated news anchor. But now his 40 years at WTVJ-NBC 6 really are coming to an end over two words: ''I'm retiring.'' His Jan. 9 newscast will be his last. Read my story on Segreto's retirement from Wednesday's Miami Herald. Wish u the BEST! You led us into the present; and you have been the BEST at what you DO !! All the BEST !!! KAMINSKY'S... FEDERAL HWY!! !